Former North Korean defector TV star Jon Hye Song has accused several high-profile defectors in the South of fabricating stories about their experiences, in a video by DPRK state-run outlet Uriminzokkiri on Monday. Jon, who is known as Lim Ji-hyun in the South, has made two previous appearances on the outlet, being interviewed in videos on August 19 and July 15. Mentioning the names of several well-known North Korean defectors in the South, Jon described them as “scum,” claiming that one encouraged others to make up stories for South Korean TV outlets. “[The defectors] can’t make up many lies with exaggerating stories out of their own heads, so they go to visit and make a contract,” Jon said in the video. She said the companies hold contests to gather “fresh and sensational stories” from North Korean defectors. “[He] also dragged them to call them as a witness at the UN stage,” she added – a reference to the United Nations Commission of Inquiry on North Korea in which several former citizens of the DPRK testified. When contacted by NK News, the defector in question declined to comment. The video ended with footage of Jon’s life in North Korea. North Korean media has frequently aired attacks on high-profile defectors, particularly those who have spoken out on human rights issues. The Uriminzokkiri outlet is largely aimed at Koreans abroad, and its output does not appear on domestic North Korean television. Jon’s sudden appearance in North Korea has prompted speculation that she was brought back to the North against her will. In her second appearance early this month, she claimed the difficulties of a getting a job and discrimination against North Korean defectors had been the hardest part of living in the South. Jon also said that allegations that she had been kidnapped by the North’s Ministry of State Security were “a downright lie and fabrication” and that she hadn’t been punished by the government upon returning to the DPRK. 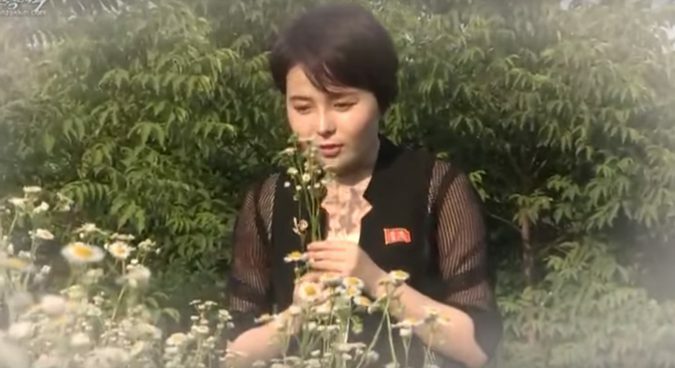 She said that she “swam across Amnok (Yalu) River” along the DPRK-China border to go back to North Korea, and is now reportedly living in Munbong-dong, Anju City in South Pyongan Province. Jon claims to have arrived in South Korea in January 2014, after defecting to China in November 2011 due to economic difficulties in the North.